Well Good is a project delivered in partnership with NHS Tayside. 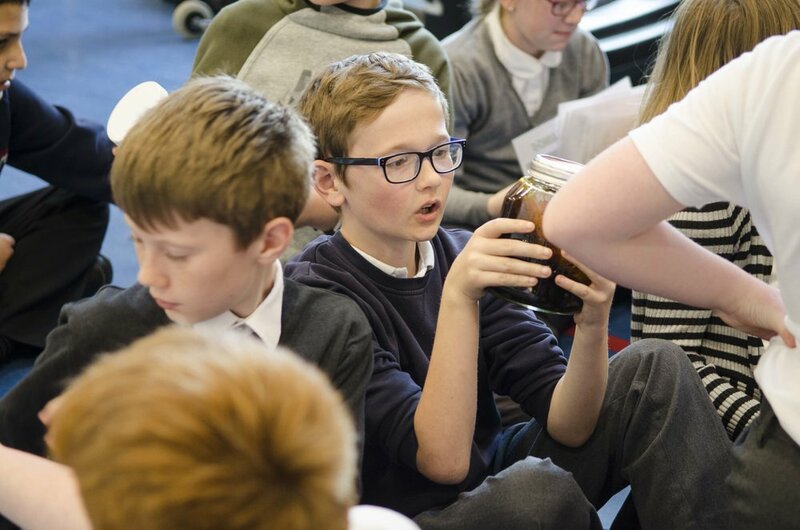 Every year, we tour Well Good to 116 primary schools in Dundee, Perth & Kinross and Angus, exploring issues around tobacco and safe choices. We work with children in P6 and P7 to create a special performance at the end of each day for the rest of the school and parents/carers. Together, we explore the impact of smoking on our bodies and the environment as well as looking at the cost of smoking. We are in our 4th year of delivering the Well Good project! Taylor Not So Swift and Kanye Breathe welcoming the studio audience along to another edition of The Smoke Factor. Some of the young people exploring the Well Good props.